Our KIDS’ CLUB has become one of our most popular program offerings. It is a comprehensive schedule of activities and classes just for kids. Designed to be a non-competitive, fun-oriented program, Kids’ Club will help keep your children active and fit, providing a broad array of new experiences. The weekly schedule includes swim lessons*, dance and performing arts, active play and games, fitness, and arts and crafts. Programs are based on age and are offered for children from 2 1/2 – 12 years. For one monthly fee your children can participate in as many age-appropriate activities as they like. Access to our child care services is also included. 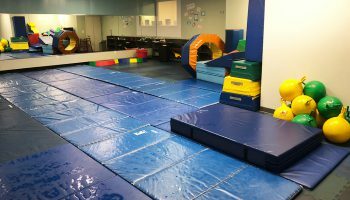 Our “Slammin’ Saturday”, half-day program is one of our most popular features and keeps kids busy from 10-1:30 while parents catch up on weekend activities or fit in their own exercise session. *One swim lesson per week is included with a Kids’ Club membership (9/15 – 5/15 only).